Beautiful WALKOUT Two Storey, Backing Onto Park and Playground, Creekview! Wow! You'll Absolutely Love the Location and Lifestyle, with Parks, Playground and Valley Walking Trails Close By! 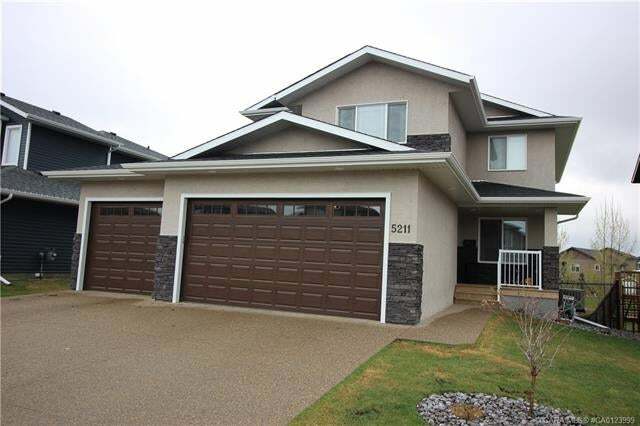 Presentation is Exceptional, Lots of Upgrades in this Custom Built 2,186sq.ft. home! Features a bright open plan, 9 ceilings, open staircase and beautiful hardwood flooring. Awesome kitchen with lots of cabinets, granite countertops, huge island, breakfast bar and Walkthrough Pantry. Park Views from the bright dinette and the Great room with cozy FP. Plus Easy access to covered deck, a great place for BBQs. Den and MF laundry. The upper level boasts 4 bedrooms and a Family room. Spacious Master with vaulted ceiling, Ensuite with separate shower, soothing soaker tub and WI closet. Excellent Walkout Basement, Huge Family/Media/Games area and bathroom. Triple 31x26 attached garage with 8 doors and floor drains. Great yard, chain link fencing, patio, AC and more! A Must See! It's Better Than New!